It’s that time again, when I post about things I like, usually in an attempt to avoid the work of writing a “real” blog entry only to realize that assembling all the photos and writing about why I like things is way, way, much more work than writing a “real” blog entry. Here we go! 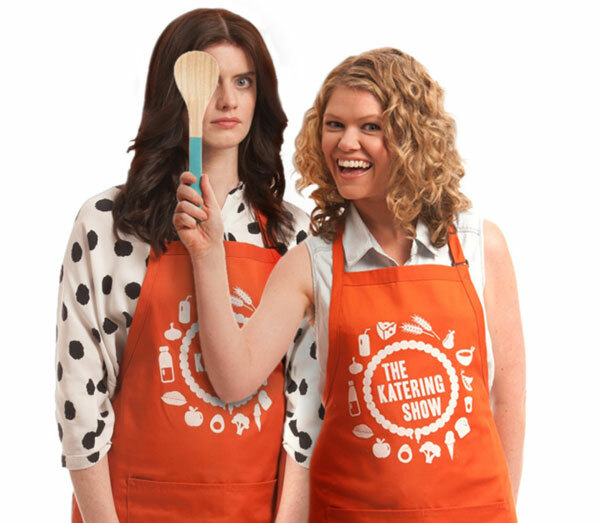 The Katering Show is a web series featuring a “food intolerant and an intolerant foodie” a.k.a. 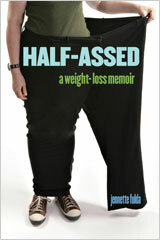 Kate McCartney and Kate McLennan.” It’s a dark but hilarious riff on the type of show you’d see on The Food Channel. The dry tone of the series is perfect, and there are quite a few one-liners that had me laughing out loud. There are only six episodes at the moment, each 7-9 minutes long, but a second season is in the works. You can watch them on YouTube here. Basically, if you like the Reductress web site you’ll probably like this. I have to give credit to Natalie for telling me about the show in the comments on my many-years-late Vitamix blender review. This animated show had been in my Netflix queue for a while, but it wasn’t until someone compared it to Daria (which I adore) that I decided I finally needed to watch it. 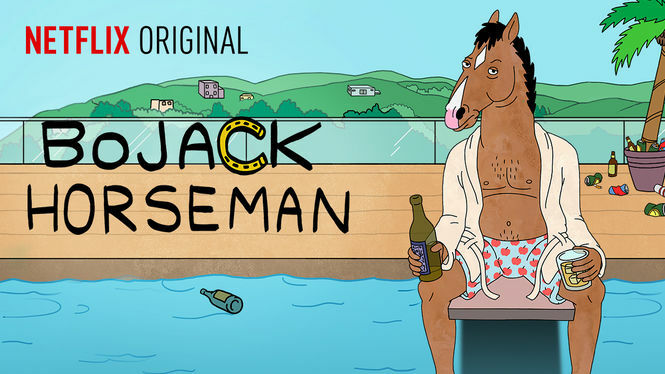 BoJack Horseman is a middle-aged, self-loathing, selfish, former 90’s TV star, who is trying to find happiness and become a better half-horse, half-man, while failing spectacularly. Many of the characters on the show are half-animal, which leads to a lot of great sight gags. There are several moments where the show does get rather deep and serious, but overall it has a comedic tone. I’m looking forward to season 3 and seeing if BoJack can ever really change. There’s also a lot of attention to detail. For instance, there are small changes to who appears in the background of the credits based on events that happen during the season. And there are several gags on street signs and things like that which you might not notice until a second or third viewing. There are also some finely aimed jokes that not everyone might get, but the people who do will really love. For instance, one of the characters has a “This American Life” ringtone of Ira Glass in season 1 and then a Serial podcast ringtone in season 2 that left me rolling. 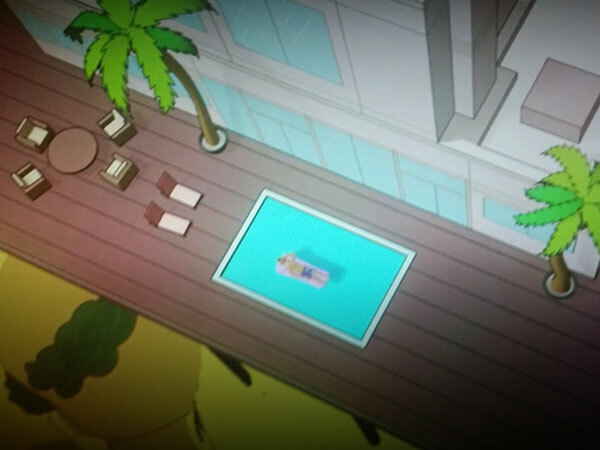 The only thing that bothers me about this show is BoJack’s swimming pool. 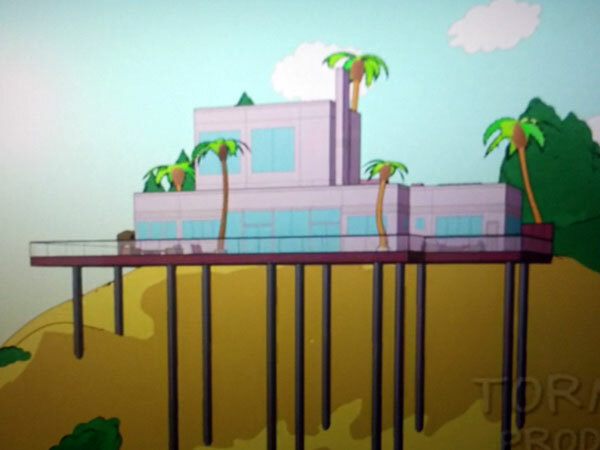 A shot of his house from the side in the opening credits shows that nothing descends below the deck, so it must be at most a foot deep. Thankfully I’m not the only nitpicker who noticed this, as there are a few reddit threads and even a Quora about the mysterious wading pool. If reminds me of how Gibbs on NCIS spent the first few seasons building a boat in his basement with no discernable way to get it out. Eventually the writers addressed the issue by making it a puzzle for Abby to try to figure out, though she never did. I guess hanging a lantern on your goof is better than nothing. I bought this album because I liked the music video that was playing in an ad before a movie, which is probably the only time one of those ads has had an affect on me. I’m old enough to remember when we all sat in silence, or listened to easy listening music over the speakers before they started the previews. Anyway, the video for “Hold Each Other” was playing. I liked the tune, but it was also refreshing to notice that the second verse was sung by a man about another man, using lyrics like, “Something happens when I hold him/He keeps my heart from getting broken.” That rarely if ever happens in pop music. The only other two examples I can think of are 1) the refrain in Macklemore and Ryan Lewis’s song “Same Love” which is specifically about gay rights, which features Mary Lambert singing, “My love/She keeps me warm,” and 2) “House” by Patrick Wolf, and that’s mostly hinted by comparing his partner to Dylan Thomas and Butler Yeats. So it was nice to see a song like that playing in a theater, particularly in North Carolina, a state that temporarily passed an amendment to the state constitution to ban gay marriage that was overturned by the recent Supreme Court ruling. So, I checked out the rest of album on Spotify and kept it on repeat for several days, then bought it because it’s important to support artists like that. 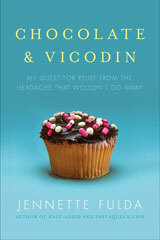 It’s definitely poppy and radio-friendly, so the sugary sounds are not for everyone. But it’s upbeat and catchy and I’ve enjoyed having it on my MP3 player. Later: What does it take for you to drop a TV show?